Ventures — Riikkinen & Co.
We work together with entrepreneurs who are capable to build sustainable businesses. Bankiton is building an "über of banking" app. Hauser will bring community back to housing with an easy app. Biofarben creates ecological paints and woodcare which are delivered directly to the customer. Saunalle is the "airbnb of saunas". Bargainr brings the best deals nearby to your phone. We have also experience in Real Estate Investments. Please feel free to ask for further information. This 21m2 studio in Helsinki pealed from mess to a stylish city apartment with hardwood-floors ( yes, that was hidden under the plastic carpet for decades). We conducted the renovation in co-operation with Biofarben and used only 100% ecological products. 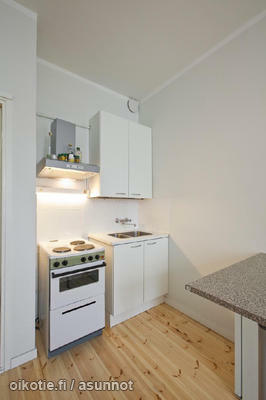 After the renovation was finished and trash recycled, the flat was sold further with a return of 21,1%. "Location, location, location!". This nice city home in downtown Helsinki, purchased in 2009 and was rented straight away with a yield of 6,3% in rent and sold further a couple of years after with a return of 17,7% raise in value. This 40m2 studio in Helsinki is available on AirBnB for short term lease. We conducted the renovation in co-operation with Biofarben and used only 100% ecological products. This 50m2 topfloor flat experienced a full flip-over and was sold futher shortly after with a return of 15,7%. We conducted the the planning, designing and renovation from beginning to end.